Bird Studies Canada, through support from Government of Canada’s Lake Simcoe/South-eastern Georgian Bay Clean Up Fund and in partnership with Nottawasaga Valley Conservation Authority is hosting an orientation workshop and social for the volunteer-based Great Lakes Marsh Monitoring Program (GLMMP) . Refresh your knowledge or be introduced to the techniques used in the nationally-recognized GLMMP with the folks who coordinate it. Help advance the study and protection of marshes in YOUR watersheds. Contribute to knowledge and understanding of coastal and interior marshes including gathering information on birds, frogs and habitat characteristics. Join us for a social evening outdoors sharing knowledge. Bring your own supper and enjoy a picnic at the pavilion before we go into the field. At 7:30 pm we will reconnect at the viewing station parking lot. Then spend an evening of birding and frogging with Bird Studies Canada’s Doug Tozer and Kathy Jones. Share your wetland id knowledge or learn from others. Experience the GLMMP techniques in a natural setting. New naturalists can come and learn about the program and decide if it is right for them. Registered participants can update their knowledge and enjoy the evening. You can choose to attend the classroom activity, the evening event or both. Just pick the tickets that suit your schedule best and all attendees are welcome at the picnic. This is a free event but donations for access to the NVCA are always welcome. 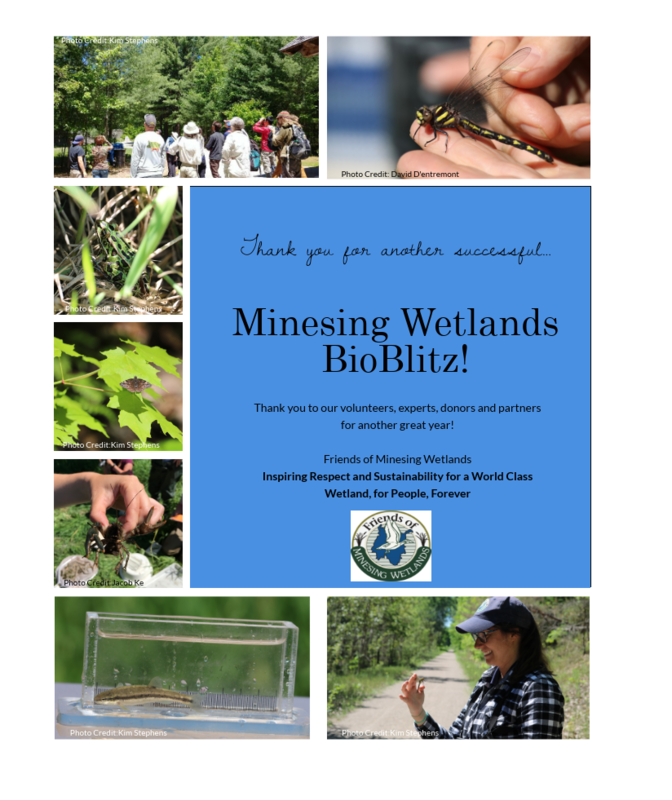 Categories: Volunteer opportunity, Wetland Ecology | Tags: Bird Watching, Citizen Science, FOMW, Great Lakes Marsh Monitoring, Minesing Wetlands, NVCA, Tiffin Centre | Permalink.